A new “country” gTLD has recently entered the marketplace - .IRISH. This TLD is a perfect extension for individuals and business associated with the Irish communities. There are no restrictions so try your luck today with your very own .IRISH domain name! From now until 15 November 2015, Namelynx is offering a discount on .IRISH domain names! 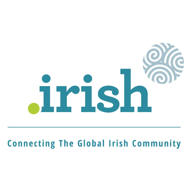 If you register a new .IRISH domain before 15 November you will receive 35% off the first year registration.